Win A Signed Paul Weller Print From Uncut! – Paul Weller News! Win A Signed Paul Weller Print From Uncut! 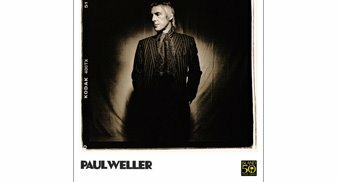 Paul Weller, whose latest live DVD and CD set has just topped the music DVD chart has given uncut.co.uk a personally signed 10 x 8″ photo print to giveaway! Head over to their site to answer a question and enter to win!! Previous Entry Paul Weller’s MOJO Honour Acceptance Speech! Next Entry Paul Weller’s Brief Comment On The Next LP!